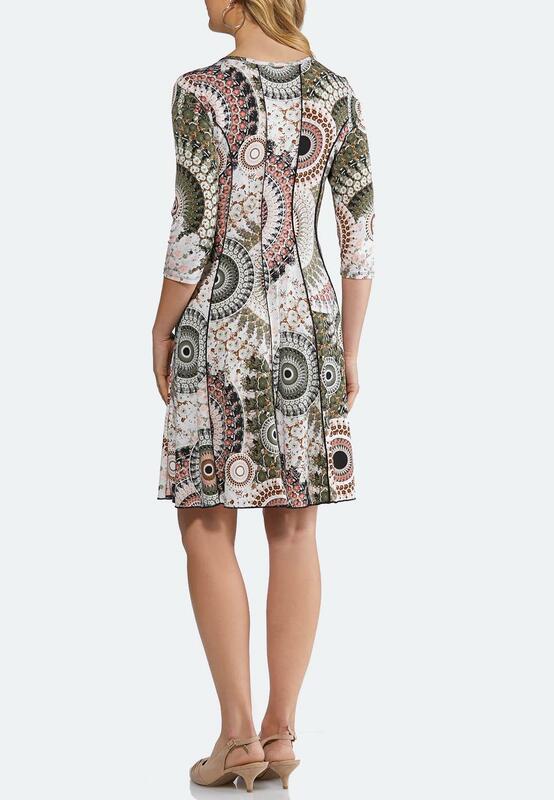 Bring a contemporary and confident look to your wardrobe with this stretch dress, featuring a floral disk print, seamed design and keyhole neckline with silver hardware for a decorative touch. Bought this dress today for my granddaughter’s First Communion in May. Perfect for the spring. The lines of this dress very flattering. Great quality and price.